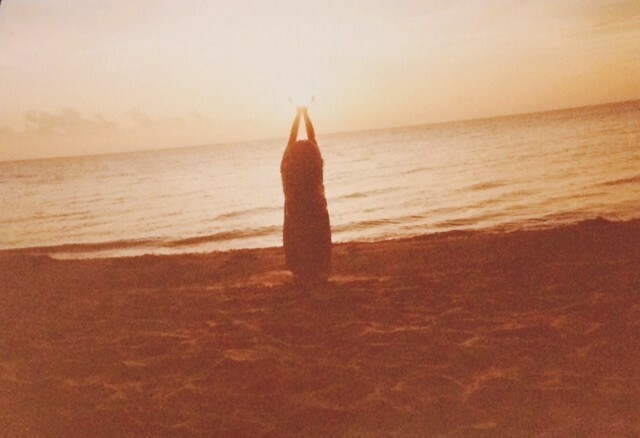 Wake Up to Life Now! Have you ever asked yourself, or asked others ‘who are supposed to Know,’ what do I do to go within like Jesus said? ‘That’s what Jesus said,’ I responded. That was my general experience as a child when I asked that question. Grant you, I was stubborn as a mule and as I said before, I didn’t give up easily when I wanted to know something; but I wasn’t thick-minded either, so soon enough I realized the reason ‘the grownups had to go and end the conversation’ when I insisted with my question, was because in reality they didn’t know how to go within themselves! That was it! They had given up and their questioning child had died in them! And I felt terribly sorry for them, because they were not trying to find answers anymore! Not even for the most important question one can have! Thus, I gave up asking ‘those who are supposed to Know’ because what I heard from them was not satisfying my child’s questioning mind’s thirst to know at all. It was as if I was dying of thirst and what they offered me was a book about water with the wrong information, instead of just giving me a glass of water to quench my thirst! And I felt terribly sad for them and didn’t ask them any questions any more. . . But my ‘questioning child’ didn’t die. . . I protected it for I didn’t want to end up like they were. . . That was scary to me, so I continued searching. . . I still question things that don’t make sense to me but I go about finding the answers in a different way. . . . I search and research everywhere and ask for Divine Guidance every day until I find the answer that satisfies my thirst to Know. 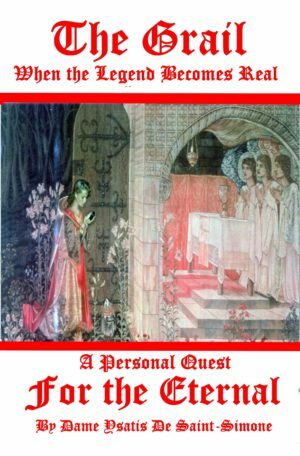 That’s how I found the most elusive relic in history, believe it or not the fabled – Holy Grail! * And most importantly, the answer to the most vital question of my life: How to go to Heaven. Do you know the etymological meaning of the word Heaven? Probably not, I had to find out late in my life what the meaning of that word is. The word Heaven means, as in the Aramaic language that Jesus spoke, that place within human beings where that which is elemental in them is raised to Divine Splendor! No, by Divine Grace my questioning child didn’t die in me, neither have I settled for less than Jesus’ way. As my Dad counseled me, I kept asking and searching. Years later, when I was revealed that Place where my sensory nature was raised to Divine Splendor that Jesus was talking about, I realized that what Jesus said must always be revered and kept untouched by human beings’ interpretation, because what He said is always exact as He meant it and said it! So, what to do to go to the Kingdom of Heaven? Now by Divine Grace I can tell you how to go within. There are some requirements that cannot be disregarded. First of all. Divine Grace and The Power of Love are the Golden Key. Then You need a Pure Heart, strong Desire and Pure Intention. Then one must clean up the old ego-centric ways of thinking, feeling and acting on this earthly journey. Thereafter, and most importantly, one must have Revealed by One Empowered to do so the Way to awaken the 4 God-given senses to go within. Those are: Inner Vision, Divine Music, The Silent Name of God, And Divine Nectar. The Inner Eye – The Divine Light that illumines our Soul, will, as Jesus said: ‘If your eye be made single, your whole body shall be made full of Light.’ It is only then that you are able to see the Divine Light that illumines all Children of Light and makes your heart sing. When this happens, It floods your brain and your whole body with Light, a Light Divine that feeds all of your cells with Life, unveils your eyes and enables them to see what they couldn’t see before. Not only that, but this Light cleans up your mind of old concepts and limitations, and suddenly Understands things that were incomprehensible before as the sense of duality disappears! The Divine Sound of Silence. The Living Word of God – A movement and a rest within us. Then you will hear the Sound of Silence. . . The Sound of Silence – which Pythagoras called ‘the music of the spheres’ – is heard everywhere in the Cosmos and within the heart. . . In my experience, through the boon of the Christ, Jesus’ Divine Grace I hear It within every single cell of my body. This Divine Light showers you with a Peace beyond understanding. . . That Sound takes one’s Mind beyond all limits. . . Jesus’ words: ‘We speak of what we Know and we have Heard’ are, as everything He spoke, True to Life – a True Experience, and don’t let anyone tell you they were ‘just a figure of speech,’ if anyone tells you so, know that this is a sign they don’t know what they are speaking about. This awesome Sound echoing the harp strings of Lemuria, ancient Egypt and Greece. . . takes one beyond the sensory experience of its Sound. . . One travels through It, as in Ancient Days did take those who were seeking to make the Divine a True Experience in them and found It. 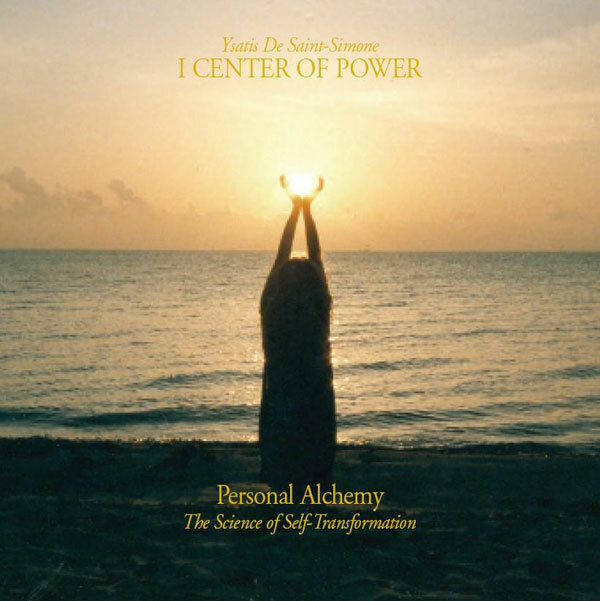 Here they are given to you in the cleanest form that today’s technology allows, to help you awaken your memory to the Silent Sound of the Divine Word within your Soul. Fly with It! For it will take you as far as your Soul can go. . . Just let your meditation be a journey of Self-Discovery. Let your Imagination free always guided by the Christ Spirit, the Master of Love, and who knows, if your meditation is Pure you may even end up visiting Paradise Itself! He said: Our Father Who Art in Heaven. He said: Heaven is within us. Do you think He is speaking riddles? No! He is not! So, why are you Not Questioning these things? Why? I do not Understand your comfortably numb position! That is all. It’s Time to Wake Up! Wake up! It is Time to Wake Up! Time is almost ending! Well, as I said, I’ve always been a questioning child and continue to be, even now at the end of History. That’s why I can today help others if they choose to find Who They Are and how to go within, where Love Itself, the Christ, Jesus is inviting us to go in order to find the Kingdom of Heaven. Did you know that, or do you think that Divine Splendor is a fantasy and we ‘sinners’ cannot dare to aspire to recuperate our Divine Nature, as Jesus told us we could? 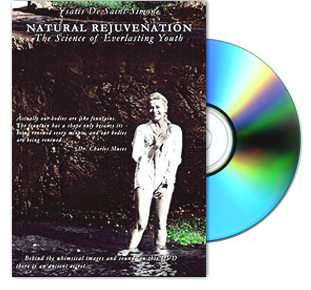 Natural Rejuvenation DVD A natural way to awaken your memory of your pre-existence in God and your True Identity. If you practice it exactly as it is explained you will also experience a physical well-being, which is real as your cells are being renewed. If you practice it consistently it will indeed make you healthier, and peaceful, and so will also be your pilgrimage on earth and your journey to the Light. Fly with it! And know that what you give to Life, Life returns a thousand-fold. So, wake up to Life Now! Try it, you will like it! This entry was posted in Wake Up To Life Now on August 24, 2018 by Seventh Angel. 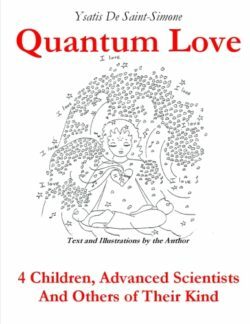 I love the “Quantum Love Book”! It is so cute and well illustrated, and I have shared it with children too (they Understand way quicker than adults it seems). How misled we have been – why have we not been taught what the true meaning of the word ‘Heaven’ is, by those who claim to know? – A place within human beings where that which is elemental in them is transformed into Divine Splendor.